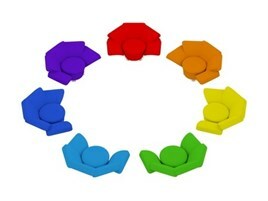 The phrase ‘reading circles’ sometimes summons up a picture of nine-year olds sitting literally in a circle on a carpet in a brightly coloured room with mobiles hanging from the ceiling, clutching books full of pictures. And, indeed, this may be the case. A lot of the research on reading circles concentrates on inculcating the reading habit in our students as they are becoming literate. When better to do this than when they are in primary school? However, Krashen (for instance, 2017) has repeatedly and powerfully argued that achievement in schools is linked to access to resources and that it is poverty which impedes kids’ educational progress. Similarly, many students fail to develop critical reading or thinking skills at school because of an emphasis on rote learning, so that they are ready to regurgitate facts – even approved and imposed opinions – in exams. For these and many other students, an appreciation of reading may well develop many years after primary school, even at university. 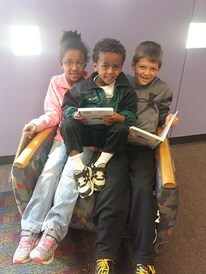 So, reading circles are not confined to any age group. Whether we are talking about young kids or young parents though, reading circles share some similarities. First, they revolve around readers’ responses to texts and so are learner-driven, whatever the age. This is because it is readers’ questions and insights which drive debates about the books. Next, it makes sense that the groups are formed according to book choice so that all the readers share a common interest in the subject matter. This implies that the composition of a reading circle will change as the choice of book does. So, the circles are temporary. Some commentators (Campbell Hill, Schlick Noe &amp; Johnson, 2001) believe that groups should not be determined by reading ability. Others (Chandler, 2015) argue that students with limited reading skills are likely to feel intimidated by stronger readers and so remain silent in mixed ability groups. Finally, it’s the students themselves that raise issues, explore areas that interest them and manage the dynamics of the group. Essentially, then, they are democratic – something that appeals to older learners wanting to make their own book choices and set their own discussion agendas. That’s about all we can say though about the common characteristics of reading circles. Many have a division of labour, where one student selects useful but difficult words to focus on while another checks facts or leads the discussion or asks questions about the literary merit of a text. The number of different roles in a group changes. Similarly, reading circles usually do not start out life as democracies. Often, the teacher sets a book for the whole class to begin with which is then read by all the circles. As the teacher herself develops more confidence in the process and the students gain more faith in their insights, so greater autonomy develops (Schlick Noe and Johnson, 1999). Yet, evidence suggests that reading circles do promote greater interest in reading and the urge to explore the written word independently.